I had so much fun creating each pocket! 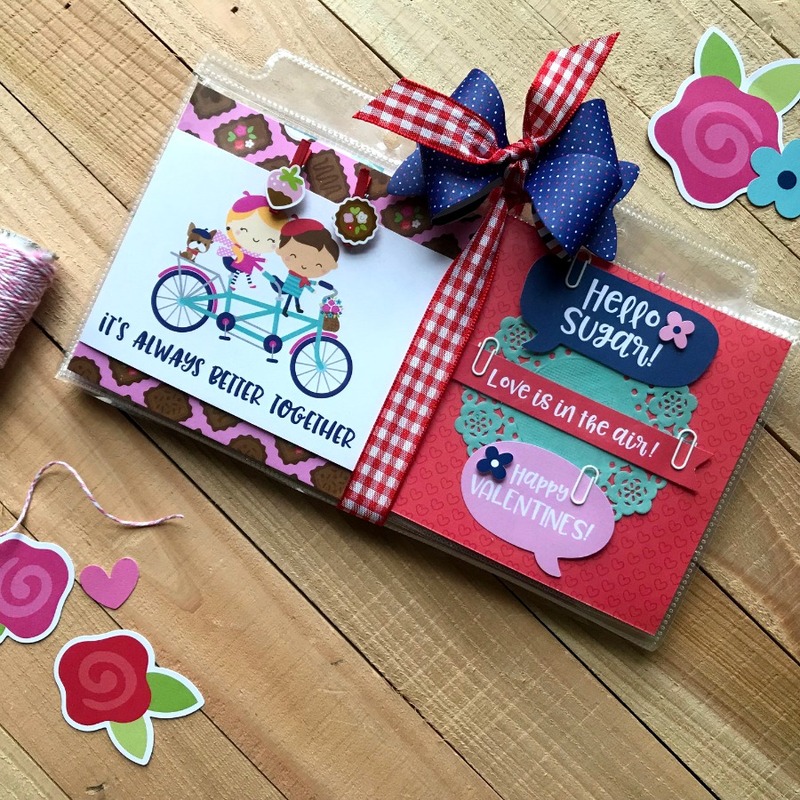 I picked the background papers from the 6x6 paper pad and then used a variety of elements like Doodle-pops, shaped Sprinkles, paper clips, washi, stickers and die-cuts. There are a couple of more "advanced" ones (above), like the shaker pocket which was created with the packaging of the pug Doodle-pop which fits perfectly in the pocket! I filled it with sequins and glitter, sealed it with washi tape and added stickers on top of it. I also created a pocket to hold die-cuts by folding patterned paper and cutting it at an angle in the front. Do you have a favorite pocket? I can't pick just one! You will love the French Kiss collection, its color combination and its super cute elements from chocolates to the Eiffel Tower. It was definitely love at first sight for me! Whether you use a standard baseball card holder or a photo album protector sheet, pocket letters are easy and fun to create! For my project, I chose to use two of the 8X8 page protectors with 4X4 pocket squares. If you'd prefer to alter the pocket sizes, try using a sewing machine or sealing tool. First, I cut various patterns of double-sided papers into 4X4 squares. Each of those papers were embellished with a paper doily, die-cuts or cut-out cards. I created a pocket for one of the squares by attaching foam adhesive tape to the bottom and sides of a cut-out card and then attached it to the base paper. This creates a nice pocket for holding bulkier items such as embellished clips and cards of twine. Because pocket letters are meant to be shared, I like to use repositionable adhesive dots to adhere items like the quotes, sticker sheets and doilies; this will make it easy for the recipient to pull off and use! 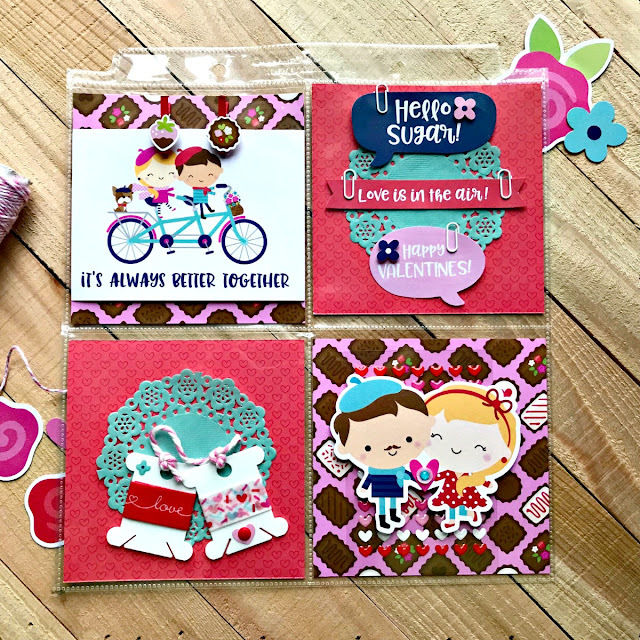 Embroidery floss cards are a great way to share samplers of washi tape, ribbon and twine. 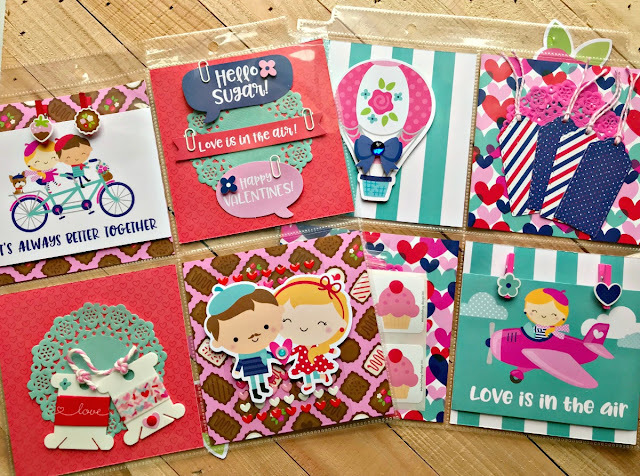 And don't forget to incorporate simple dies or cut files for items such as tags and hearts to give your pocket letter a unique touch. 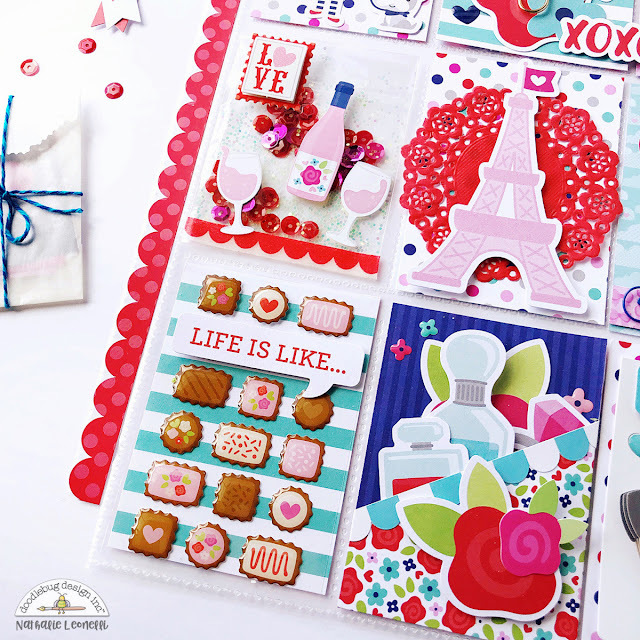 These pocket letters are fabulous!! Love all the little details, whoever gets them will be thrilled! These are terrific projects Natalie and Shellye!!! Love the many #doodlebugdesign icons and cutie stickers!! !